…He said he had “a very bad feeling” that Prime Minister Benjamin Netanyahu and Defense Minister Ehud Barak were going to order an attack, even against America’s wishes. “There is a dynamic to all these warlike declarations,” he said. 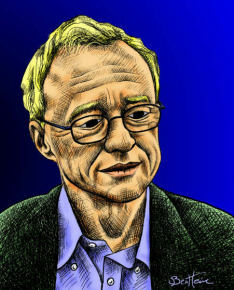 I’ve written often in the past about David Grossman as an admirable, but attenuated figure. As a liberal Zionist who is a moral bellwether for Israeli centrist and leftists, but one who is constrained by many of the limitations inherent in those defending major elements of the Israeli status quo. With Grossman, the glass is always both half empty and half-full. He is someone always willing to sound the alarm about the worst depredations of the rightist governments who have afflicted Israel for the past decade or more. But he is also someone who never wants to be too far ahead of his countrymen. He is one of them, and feels their moral confusion and remains constrained, as they are, about Israel’s predicament and how to get out of it. The good news is that Grossman has launched an assault on Bibi and Barak’s plan to assault Iran. He’s gone so far as to accept that an Iran with a nuclear weapon would be far less bad than an Israeli attack on Iran in order to prevent this outcome. He [Netanyahu] has this idea that we are the people of eternity, am ha’netzach from the Bible, and our negotiations, as he sees it, are with eternity, with the primal currents of history and mankind, while the United States, with all due respect, is just another superpower like Rome or Athens or Babylon, and we’ve survived them all,” said Grossman. “I’m afraid that this way of thinking might encourage Netanyahu to take the step” of attacking Iran. The prime minister makes many speeches these days. Before our eyes, he fires up his listeners and himself with frequent references to the Holocaust, the Jewish fate and the fate of the generations to come. Opposing this rhetoric of apocalypse and catastrophe, there are moments when one asks whether Netanyahu distinguishes between the very real dangers Israel faces and the echoes and shadows of these past traumas [i.e. the Holocaust]. This is an important, indeed fateful concern because the confusion between the one and the other could sentence Israel to relive those echoes and shadows. This world view also characterized several periods of Jewish history in which leaders arose who asserted that violent resistance against tyrants was preferable to continuing to live under their yoke. Revolts like the two against the Romans (the first in 66 and the second in 132 CE) featured Jews like Bar Kochba and Elazar ben Yair, whose nationalist zeal led them into adventures that cost the Jewish people of the day dearly in lives and suffering. While such resistance is certainly admirable and heroic, it threatens the sense of self-preservation of a relatively small, vulnerable people historically surrounded by nations far stronger and more powerful. I say beware those leaders who see visions and hear voices of Jewish destiny. They can, in many cases, lead us down the path to national self-destruction. …Grossman said that if sanctions and diplomacy could not stop the Iranian nuclear program, trusting to deterrence was less dangerous than starting an open-ended war. Is Iran the “most crucial existential problem” Israel has faced in all its history? No, that’s buying into the Bibist narrative. Iran is a problem no greater than the prospect of China getting a nuclear weapon in the 1960s or Stalin getting a hydrogen bomb in 1949. Looking back, were these the most crucial existential moments in American history? 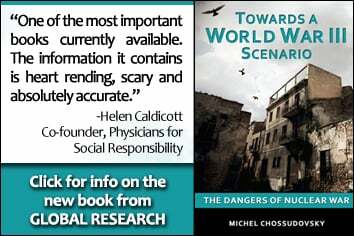 They would have been only if one or the other leader had made a critical miscalculation that led to nuclear war. Luckily that didn’t happen and I hope it will not happen today. Note, that Grossman repeats the erroneous claim that Iran’s leaders have “declared openly they want to eradicate Israel.” They of course have done no such thing. You would think that Grossman, with all the linguistic and literary resources at his disposal, would be able to discover the truth by consulting Persian speakers who could set him straight. Grossman also claimed that Iran has “chemical and biological weapons,” a point which I’ve never heard any analyst say. It is possible that Iran does have such weapons, but I’ve never read of any proof of this in any credible publication or from any credible source. In everything he writes about Iran, there isn’t any recognition of the fact that Israel has played any role in drawing Iran’s hostility. There is only the perception that Iran’s leaders are near psychopaths with whom a supposed moderate, secular middle class is saddled and even imprisoned. This is the typical myopia that afflicts liberal Israelis who appear to want to understand the motivations of their Arab neighbors, but who are ultimately stymied by their myopia in not recognizing the impact Israel has on them for better and mostly for worse. Can there be any real purpose to this war? Such that it would guarantee life and tranquility to Israel for many years? And create the will to accept it sometime in the future as a legitimate partner and neighbor? One which can transform in the long run, this chapter regarding the nuclear weapons of Israel and others into something redundant? An Israeli attack on Iran would be based on a wild, rash bet, one which will change our future irreparably. I daren’t even imagine it. Yes, I can imagine it, but my hand hesitates to write the words.